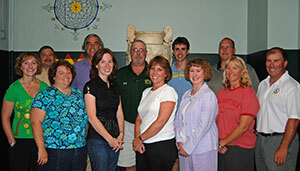 The Mathematics Department has developed a curriculum that is designed to meet the needs of every student at BFA. We offer courses so that each student can take courses that are appropriate for his or her mathematical development. The courses are carefully sequenced to provide reinforcement of previously learned concepts and sequential development of new material. Each course has prerequisites that are designed to ensure that every student will have a high probability of success.